On November 10, 1887, the Baku City Duma issued a decision to establish a technical school in Baku. The technical school was transformed into “Baku low-level technical school” in 1896. During 1896-1905, 50 students graduated from the Mechanical Department and 55 from the Construction Department of the school. In 1910 the Mechanical department comprised Oil and Technical and Electromechanical areas. 494 students including 20 Azerbaijanis were enrolled in the school in 1916. It was named polytechnic school in 1918. There were 188 students in the Polytechnic from oil industry, electromechanics, construction and architecture departments. During this period, only 62 students in Azerbaijan, including 12 engineers, had higher education. On November 16, 1920, the Decree of the Azerbaijani Revolutionary Committee was published on the establishment of the Polytechnic Institute in Baku. Establishing Baku Polytechnic Institute named after M. Azizbeyov on the basis of "Oil Field", "Electromechanical", "Engineering-Construction", "Agriculture" and "Economics". Baku Polytechnicum buildings, equipment, as well as the Chemical Technical Laboratory of the Russian Technical Society will be ordered to Baku Polytechnic Institute. Finally, accepting to the ranks of college students by organizing special lessons for high school students. The social security rights available to students of the State University also apply to the students of the Baku Polytechnic Institute. Despite the fact that the professors and teachers who are involved in the teaching process at the Polytechnic Institute from universities and other enterprises have been replaced, they should be paid salaries in accordance with their position in the Polytechnic Institute. The salaries of the professor-teacher staff should be reimbursed as a salary of a co-worker at the State University. On December 12, 1920, the Public Education Commissioner issued a Decree on the opening of the Institute. The Decree also mentioned the closure of the Baku Polytechnicum and the release of teachers from the duties of the Baku Polytechnic Institute, the completion of the preparatory work and the beginning of the academic year on January 1, 1921. Under the decree, under the chairmanship of engineer AI Kozlov, it was planned to complete the admission committee at the institute and to complete the admission by January 1, 1921, according to the following norms. Initially, all candidates were planned to have been accepted as tudents of Baku Polytechnic University, students of special high schools, second - Turkish speaking, third - workers, fourth - ACBP MK and BK, fifth - golden army representatives, sixth - council employees, and seventh – other citizens. Professor N.A.Dubrovsky was appointed the first rector until September 1, 1921. The first meeting of the Scientific Council of the Institute was held on December 15, 1920 under the chairmanship of the first rector professor N.A.Dubrovskiy. S.Vakilov was elected secretary of the Scientific Council. Soon, on December 18, the second meeting of the Scientific Council was held, and for the first time the faculties were: "Oilfield" - mountain engineer B.Dombrovski, "Electromechanika" - engineer-engineer A.Sizov, "Engineer-construction" - Civil Engineer A. Shusherov, "Economics" - Professor NADubrovski and "Agriculture" - Agronomist N. Lebedov were dean of the faculty. The first call announcing the start of the event was held on January 2, 1921 at 9.30 and engineer S.Vakilov for the first time in the history of the institute lectured on higher mathematics. In the academic year 1920-1921, 1135 students were studying at the institute. In 1922, the structure of the institute in the fields of "Agriculture", "Economics", "Technological (electrotechnical, mountain-oil and petrochemical departments), and" Engineer-construction (on the road, hydrotechnical and civil construction specialties) ". In 1922, the strengthening of the material and technical basis of the Institute and the teaching staff of the Institute was provided by Azneft (repair and supply of equipment and grants for 150 students), People's Commissars Council, Education, Land, Food Commerce Public Commissars. Since 1923 the institute has been named as the Azerbaijan Polytechnic Institute named after M. Azizbayov. In 1929 alumni of the university Barinov was a rector of the University. On May 12, 1929 the faculty "Agriculture" was separated from the institute and the "Agricultural Institute" was established freely. On May 29, 1930 the name "Azerbaijan Polytechnic Institute" was renamed and it was renamed "Azerbaijan Oil Institute" (AOI). In 1931, "Azerbaijan Institute of the Kiyabi Industry" was established Azerbaijan Oil Refinery Institute was established on the base of the Azerbaijan Oil Institute in Ganja, Grozny, Ufa and Ishimbay. The institute's name was renamed as the "Azerbaijan Oil Institute" and the training of engineers was carried out at the following faculties: On June 19, 1930, the Azerbaijan Construction Institute was established ( On September 1, 1934 he was again transferred to the Azerbaijan Oil Institute under the name "Architecture and Construction faculty). In the thirty-third year of the Polytechnic Institute, 3267 students, more than 3,000 listeners at the faculty of correspondence education, have been transformed into one of the most prominent universities of the former Soviet Union and became the first high technical school in Transcaucasia. In 1931, the Institute was nominated the Red Labor Order of the Government of the Republic of Azerbaijan for its achievements in the training of specialists in the oil industry. Rapid development of industry in Azerbaijan in connection with the industrialization of the country required not only oil, but also the engineering staff for other fields. Thus, the creation of a large-scale industrial institute in the republic was a priority for that time. On October 10, 1934, the Oil Institute became a member of the Engineering Institute of Mechanical Engineering, Power Engineering etc. for industrial fields as well as for the preparation of engineers. On December 25, 1940, the Institute was rewarded with the Red Banner of the Alliance's highest awards for its achievements over its 20th anniversary. In connection with the beginning of the war in 1941, new tasks were put in front of the Institute and its employees, and their concerns had increased. From the very beginning of the war, employees and students of the institute were sent to the front to give their debts to the country. In 1941 S.B.Gokayev was appointed rector of the institute. In these years a special gang was created to build defense facilities in the institute. Sending workers in industry as well as institutional students to the front has led to a large number of staff shortages in managing production at mining and factories operating under the motto "Everything is for Frontline". In order to overcome the shortfall, according to the decision of the Government of the Republic of Azerbaijan on the measures to improve the training of staff at the Azerbaijan Industrial Institute named after M. Azizbayov on March 5-12, 1943, 1,000-1200 students were enrolled in 1943/44 academic year. By the decision of the Council of People's Commissars of November 12, 1943, the publication of textbooks, textbooks for students in Azerbaijan was consolidated, and special closed food and industrial goods stores for students and academic staff of the institute were launched. In 1943 the institute was accepted 1147 and 844 people in 1944. Over 1,000 engineers were trained during the war. In 1945 there were 4500 students, including listeners of preparatory faculty. On March 11, 1944, by the decision of the directive authorities, pre-war rules were restablished in higher education institutions, and staff training was promoted as the most important problem. After the war, there were fundamental changes in the life of the Institute. At that time, six of 8 faculties were directly involved in the training of personnel for the oil industry. The post-war expansion of the Institute's activities was related to the development of the industry and, first of all, the oil industry in the country. If before the war 98% of oil production fell to Baku, Grozny and Maykop, after the war, rich oil fields in the Ural-Volga, Emba, Central Asia, Kazakhstan and Far East regions were discovered and their mines had sharply increased demand for oil specialists. In those years, the graduates of the Azerbaijan Industrial Institute played a key role in the development of these fields. In 1946, the Institute was subordinated to the People's Commissariat of the USSR under the supervision of the USSR Department of Polytechnic and Industry Higher Education Institutions. In the structure of the Institute in 1950 functioned Geological-Exploration, Petroleum, Technological, Mechanical, Energetic, Engineering-Economy, Transport and Architecture-Construction faculties. In 1952, Azerbaijan Polytechnic Institute was established in order to prepare specialists for civil construction, transport and mechanical engineering on the basis of the Institute of Architecture and Construction, Transport, Faculties of Mechanics and the Faculty of Hydromelioration of the Azerbaijan Institute of Agriculture. From the Azerbaijan Institute of Industry to Polytechnic Institute, 57 professors and teachers have passed 11 chairs, and the institute has only started to prepare specialists in the oil field. Extension of evening and part-time education has been done. According to the decision of the Union Government on March 14, 1959, the institute has been renamed to Azerbaijan Institute of Oil and Chemistry named after M. Azizbayov (AzIOC). This was due to the fact that the chemical industry was declared a priority area in the country. Prior to the AzIOC, the developing Union has set the task of preparing highly qualified engineers and scientists for oil and petrochemical industries. In 1951-1959 the institute produced 6695 engineers, of which 3501 were Azerbaijanis, including 749 girls. In these years, according to the decision of the republican government, the specialty of industrial economics from the Department of Planned Economics and the Azerbaijan State University for the development of mineral deposits were transferred to AzOI and the radio engineering specialty from AzOI Polytechnic Institute. In 1958-1959 academic year, a department was established in Sumgait to study at the evening department of young people working there. In accordance with the decision of the Government of Azerbaijan dated March 30, 1960, a training and advisory center was established in Sumgayit for studying evening and part-time departments of AzIOC. The decision envisages the preparation of a member of the training and consultation station for synthesis and synthetic rubber, chemical and machine-building specialties. In 1962-1963 academic year, the educational-advisory station in Sumgayit was transformed into a branch of AzOI as a part of evening and part-time department. The first admission to the branch was in 1962. The first student admission to the branch was carried out in 1962 and 225 students were admitted to the evening department and 125 students in the correspondence department. According to the decision of the Union Government dated June 3, 1965, the branch was transformed into a factory of technical sciences at the synthetic rubber plant in Sumgayit. Since there were no appropriate conditions for teaching, most of the courses were held at the school of Sumgayit No. 11 and the building of the 8-year school in the City of Chemists. By 1970, most of the teachers were educators invited from AzOI. 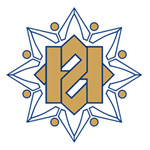 Since 1992, the branch in Sumgayit has been functioning as a Free Industrial Industrial Institute, becoming a Sumgayit State University since June 13, 2000. On November 1965, the Institute celebrated its 45th anniversary. The 50th anniversary of AzOI was celebrated on July 5, 1971 with a participation of the government delegation at the club named after Shahriyar, including the head of our republic, Heydar Aliyev. More than 100 members of the collective were awarded with honorary titles and decrees by the government, and 30 were given apartments by the government. The institute was awarded with the Honorary Decree of the Presidium of the Supreme Soviet of the Republic for services in the training of qualified personnel for the national economy of Turkmenistan. In 1978, Professor Ibrahimov was re-appointed as the rector of the institute. The employees of the Azerbaijan Oil and Chemistry Institute named after M. Azizbeyov worked in the legendary "Oil Rocks" and in Baku Refineries, Sumgayit Large Chemicals Enterprises and Research Institutes of the Republican Academy of Sciences, Tyumen, Sakhalin, Tatarstan Mines and all corners of the country. The AzIOC was included in the list of 70 leading universities of the former Soviet Union in the republican higher educational institutions, under the decision of the Central Committee of the CPSU and the Council of Ministers of the USSR № 271 of 6 April 1978 "Enhancing the effectiveness of scientific research in high schools". That is why in 1979 the name of the faculty was changed to "Gas-Oil-Mining". In 1988, under the joint order of the Ministry of the Shipbuilding Industry of the Union and the Ministry of Higher and Secondary Special Education of the Union, Nord Scientific Production Association and AzNKI established the second educational-scientific-production complex. According to the Decree of the Cabinet of Ministers of the Republic of Azerbaijan dated 18.02.91, the name of the institute was renamed to the Azerbaijan Industrial University (AzIU), awarded with the Red Banner of Labor named after M. Azizbayov. Training-consultation for students studying correspondence in Ali Bayramli (present Shirvan) in accordance with the Decree No 11 / 8-12 of the Cabinet of Ministers, dated May 20, 1991 and Order 442 of 17.06.91 of the Ministry of Public Education Was established. The precinct helped the students studying in the correspondence department of the University to master the curriculum. On August 24, 1991, the government's decision to open a branch in Mingachevir city of AzIU, which hosted 87 students in economics and management of lightweight textile industry, economy economics and management, transport economy and management, electrical systems and networks, electrical transport has been submitted. 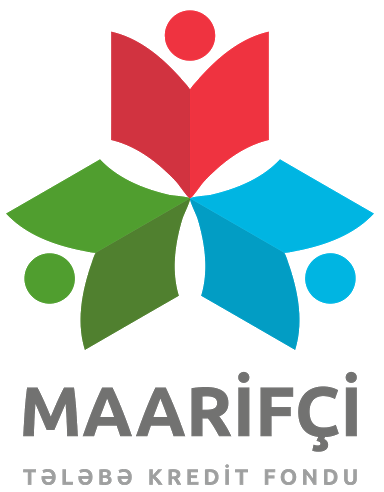 Subsequently, this branch started to function as a Mingachevir Polytechnic Institute freely. The Scientific-Research Institute of Oil, Gas Geotechnology and Chemistry of Oil, was established under the Decree of the Cabinet of Ministers No.160 dated 16.03.1992. In 1991-1998, he worked in the Department of Geological-Exploration, Gas-Oil Mining, Chemical Technology, Oil-Mechanics, Power Engineering, Automation of Production Processes, Engineer-Economy Faculties "Preparing for Foreigners" functioned. The university was renamed the Azerbaijan State Oil Academy (ASOA) by the Decree of the Cabinet of Ministers of the Republic of Azerbaijan dated March 21, 1992. In 1993-1997 Professor Parviz Mammadov served as Rector of ADNA. Beginning with the 1993/1994 academic year, ASOI has for the first time started preparing specialists at the bachelor's level, and fundamental changes have been made in all curricula and subject content. The Scientific-Research Institute of Automation of Control Processes, was established in ASOA under the Decree of the Cabinet of Ministers No.74 dated 10.08.1995. In 1998, with the support of the United States Agency for International Development, a Master of Business Administration (MBA) program in English was opened, which was based on cooperation between Georgia State University and ASOA. The peculiarity of this project is that the curriculum and the content of the disciplines are adapted to western standards, the lessons are being taught by the US Department of State, and by the most advanced teaching technologies from ASOA to interns. In 1999, Heydar Aliyev Museum was created at ASOA with exhibits on Heydar Aliyev's life and activity. The museum was a focus of attention for students and visitors visiting ASOA. At the beginning of each academic year, student tickets and price guides for first-year students are presented in this solemn ceremony in this museum. Since 1999, with the cooperation of the State Oil Company of the Republic of Azerbaijan and the Institute of Oil and Engineers of Paris, in cooperation with the French Sophia-Antipolis (Nitsa) and the Genuya University of France, within the EU TEMPUS program, the European Environment and Sustainable Energy "Preparation of masters for the specialty" Scientific-technical magazine "News of Azerbaijan Higher Technical Schools" has been published at ASOI since 1999. During the 1999-2000 edition, 10 issues of the magazine were published. 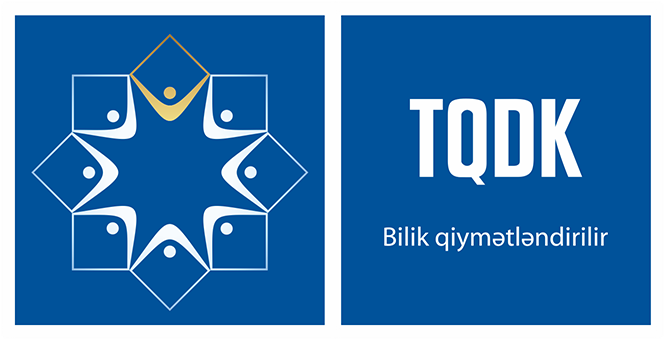 By the Decree of the President of the Republic of Azerbaijan Heydar Aliyev "On Improvement of the Education System in the Republic of Azerbaijan" of June 13, 2000 ASOA was authorized to act on the principle of self-management. In 2000, various events (conferences, seminars, meetings, presentations) were held in faculties, chairs and a number of industrial enterprises in connection with the 80th anniversary ASOA. On the eve of the anniversary, the facade of the main building of the ASOA was renovated and interior repairs were carried out. With the assistance of the US Embassy in Azerbaijan, Exxon Azerbaijan and the Open Society Institute, ASOA has been established and commissioned the first local Internet network. In September 2015, by the order of the President Ilham Aliyev, the university was named the Azerbaijan State Oil and Industrial University, which was tasked with training qualified personnel not only for the oil field, but also for the entire domestic industry. In addition, since the new academic year, the French-Azerbaijan University (UFAZ), established under the Presidential Decree at ASOIU. This year, 143 students were admitted to the UFAZ, which will be taught in English, with the opportunity to earn a diploma from the University of Strasbourg, one and one of the most prestigious universities of France in the world, with the ASOIU diploma alumni, and this is a total of 2400 young people technical and engineering specialties, and grow up as highly qualified personnel for the country's economy. One of the important steps taken by ASOIU for the synthesis of education and science in the industry is the creation of "Eazi START" startup school. Along with talented students and masters, the aim of the startup school, with the participation of doctoral students, university professors and professors, is to prepare a business project and build production requiring minimal investment on the basis of innovations in science. At the end of the 2015-2016 academic year, 15 out of the drafted projects have been widely presented, and currently investments are being made to them. At the same time, the AzII-IT Academy was established at the university to deeply absorb students' information technology. Over the past year, more than 100 young people have graduated from the IT Academy established around the world-renowned Oracle, Microsoft, with Autocad resources, and have received certificates on various levels. It should be noted that currently Azerbaijan State Oil and Industry University coorperates closer with foreign students, including, Georgia State University (USA), Zigen University (Germany), Ploektti Oil and Gas University (Romania), Tronheim City Science and Technology University (Norway), Russia's State Oil and Gas University (Russia), Genuya University (Italy), Nitsa Sofia-Antipolis University (France), Athens National Technical University (Greece), Khazar State University of Technology and Engineering (Kazakhstan). At the same time, a joint Bachelor of Business Administration (BBA) program with Zigen University in Germany, and Joint Master Programs in Business Administration (MBA) with Georgia State University in the United States can be highlighted.